Holy Smoke, That's Good BBQ! Holy Smoke, That&apos;s Good BBQ! Do you love good BBQ as much as we do? Local residents have been excited for weeks as the official opening date drew near for Holy Smoke Hog Roasting Company. 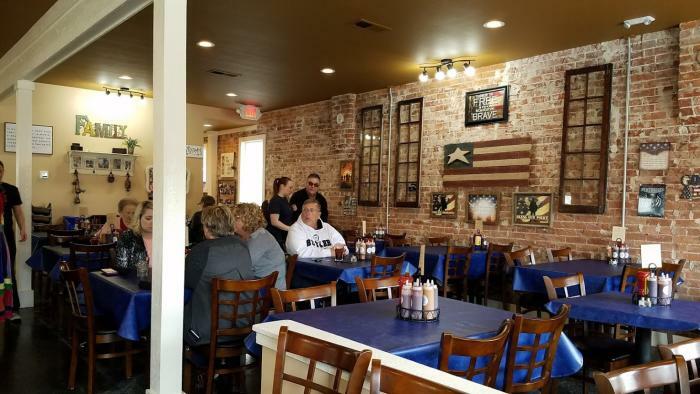 This the the first restaurant venture for the owners, the Lawrence family, though they have owned a successful catering business for several years. 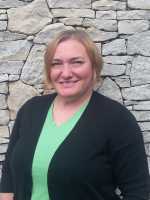 They do plan to continue to accept outside catering jobs in addition to the new eatery. 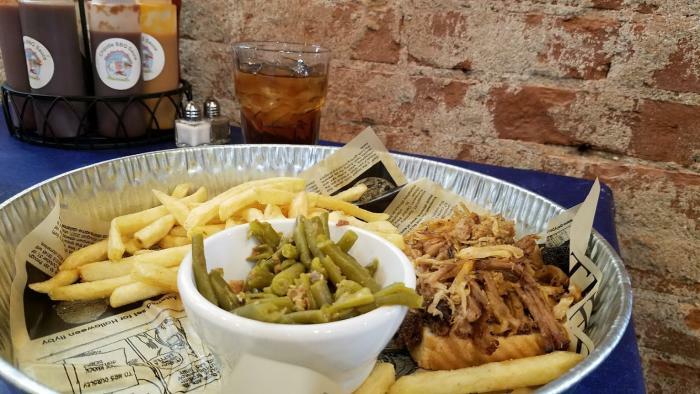 The restaurant, located just off the courthouse square in Martinsville, features pork bbq, brisket, smoked chicken and a plethora of side dishes, plus desserts! All is prepared according to the owner&apos;s family recipes, and so far, everything we&apos;ve tried has been delicious, in fact our appetizer of fried biscuits and apple butter didn&apos;t even survive long enough to be pictured here. 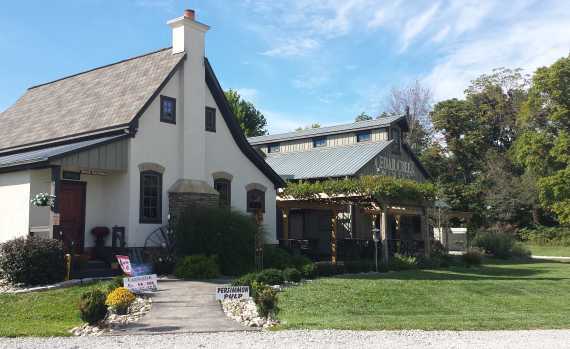 Friendly, cozy and decorated in an Americana style theme, the restaurant is comfortable and welcoming. There&apos;s a small buffet available at lunchtime, which seems popular with those on a limited time schedule, but we ordered off the menu. The lunch menu is filled with tempting sandwich choices including a brisket Rueben, a Monte Cristo pulled pork and even a fancy grilled cheese. Salad and soup are options, too, but we stuck to sandwiches on this visit. 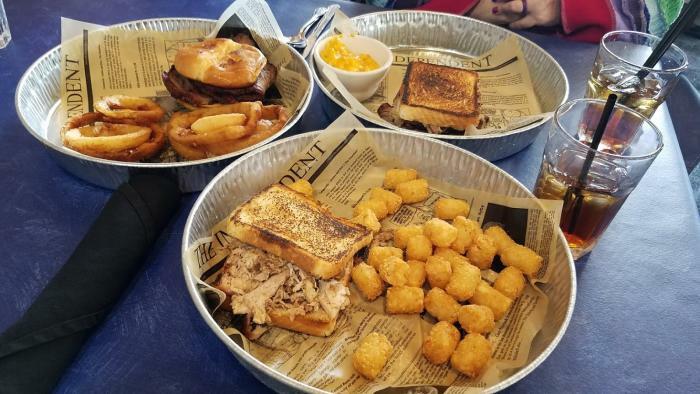 Shown, clockwise from top left, the brisket Rueben with spicy mac and cheese, pulled pork with tater tots and the brisket sandwich with onion rings. Returning later in the week with my own family, we decided to give the dinner menu a try, and we were pleased once again with the pulled pork dinner, served with two sides, and the fried catfish, also with two sides. Next time, the smoked chicken is on our list for sure! The kids menu offers several choices including grilled cheese, chicken tenders and a kids&apos; pulled pork sandwich, each served with a side and a fresh baked cookie (which also did not survive long enough for a photo). Sadly, we were too full to order dessert this time, but they all sounded amazing. 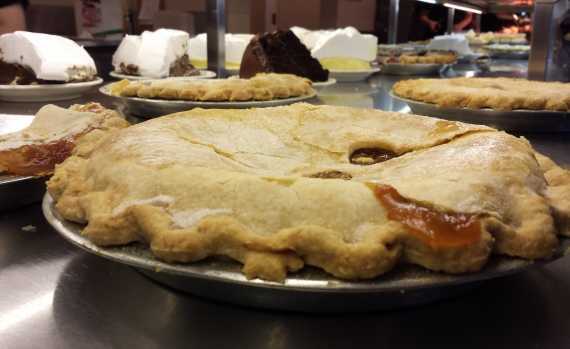 The restaurant features a cobbler of the day plus other fun choices like a chocolate melting cake (we plan to return some day soon specifically for dessert)! The pork is seasoned with a signature rub before smoking, but is served without sauce so you can customize your meal. 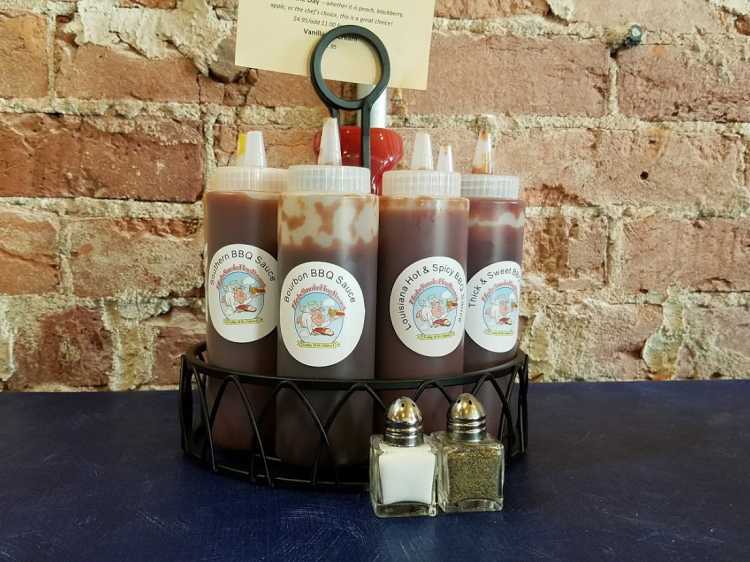 With several sauces available on each table, you&apos;re sure to find your favorite! Choices include a Southern style sauce, Louisiana hot and spicy, thick and sweet, bourbon bbq and more. My personal favorite? The bourbon bbq sauce. 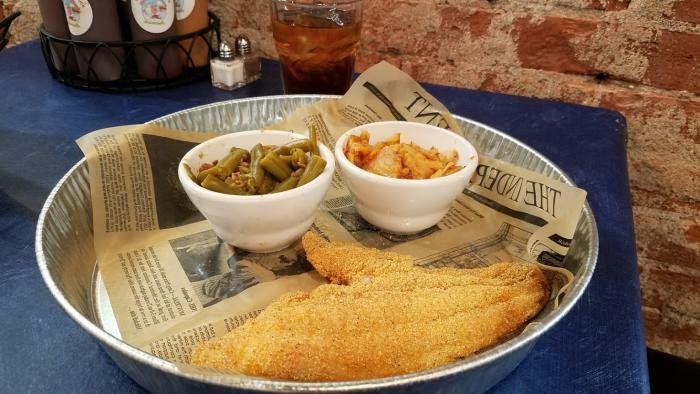 The catfish was served hot and well seasoned without being spicy. Sides are well-loved down home style favorites - there&apos;s even a smoked baked potato that my son declared "a really tasty &apos;tater!" My favorite thing about this new downtown eatery? It was just a bit too chilly this time, but soon their outdoor patio seating will be open! It&apos;s heated, so even on slightly cool days you can enjoy a meal outdoors with your friends... even the furry ones! 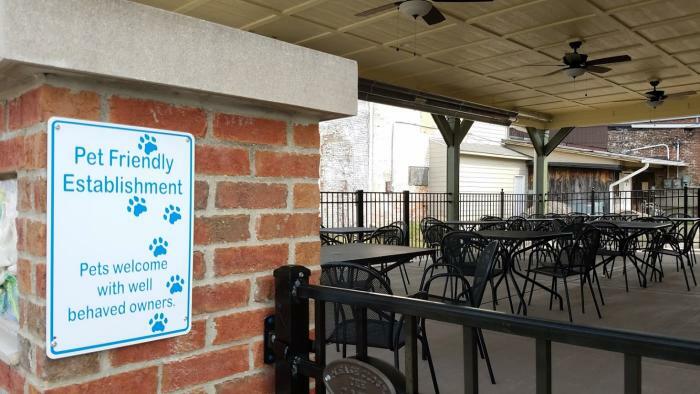 That&apos;s right, pups are welcome (with well-behaved humans), and are even celebrated with the free Reno Special - a hot dog and pup cup - with any lunch or dinner entree. Welcome to Morgan County, Holy Smoke Hog Roast Company! We have a feeling you&apos;re going to become a popular staple among our locally owned eateries. Tags: Holy Smoke Hog Roast Co.